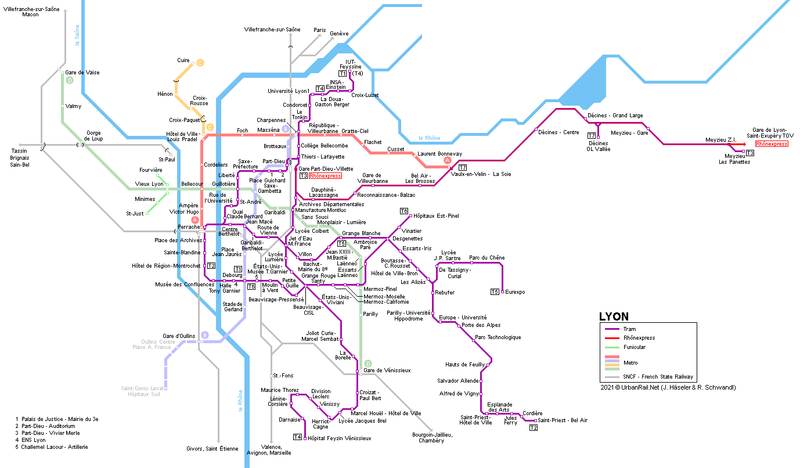 Lyon is the second largest city in France and situated on the confluence of the rivers Saône and Rhône. Although the city itself only counts some 475,000 inhabitants, it has some 1.3 million inhabitants in the metropolitan area formed by 62 boroughs (606 km2). 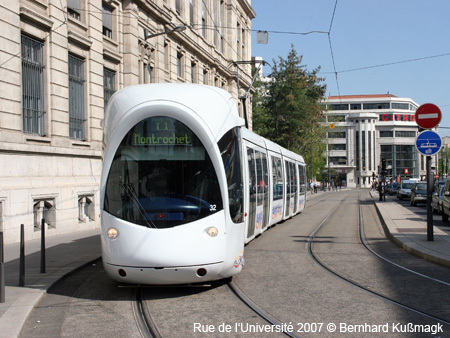 In January 2001, two tram lines began running through Lyon and its eastern suburbs: between Perrache (transfer to Line A) and IUT de Feyssine in the north-east (line T1; 8.2 km), and from Perrache to Porte des Alpes in the southeast (line T2; 10.1 km). Meanwhile T1 has been extended from Perrache to Hôtel de Region-Montrochet and T2 from Porte des Alpes to St Priest-Bel-Air. All routes are on a reserved right-of-way, with priority at traffic lights. 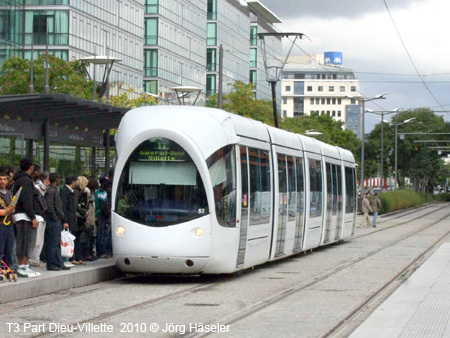 A third line (T3) opened on 4 Dec. 2006, it links Gare Part Dieu-Villette with Meyzieu Z.I. along the former railway alignment of the 'Chemin de Fer de l'Est Lyonais'. Along this route all level crossings are protected by automatic barriers, thus allowing higher speeds so this line can be classified as "light rail". 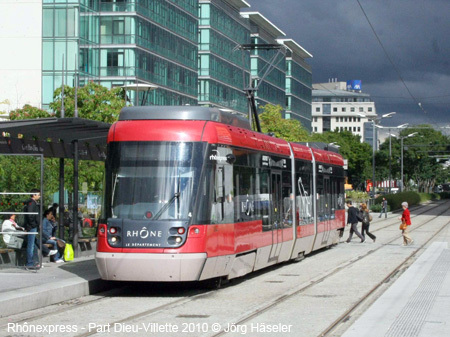 This route is shared by the Rhônexpress, for which several stops have four tracks to allow airport trains to overtake the urban trams. On 20 April 2009, line T4 completed the present network. 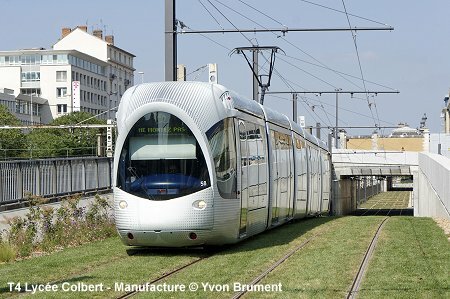 In 2013, this line was extended to Part Dieu railway station and now shares tracks with line T1 up to the University campus to terminate at La Doua-Gaston Berger. 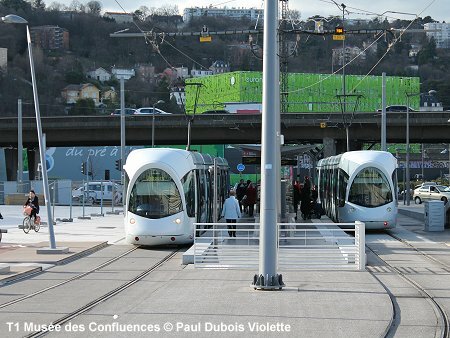 In 2014, line T1 was extended south to the Musée des Confluences and over the River Rhône on a new purpose-built bridge to link up with metro line B at Debourg. 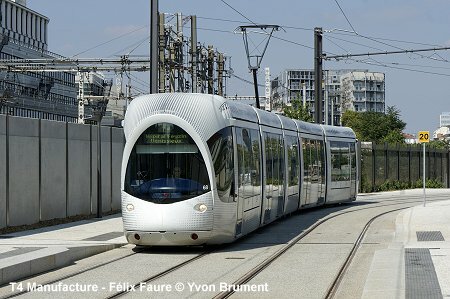 Line T6 (6.7 km) u/c for Dec 2019 opening. 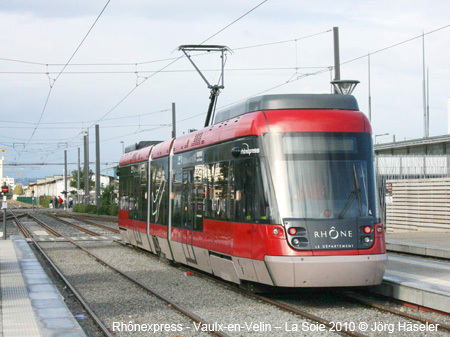 The Rhônexpress from Part Dieu to Lyon Saint Exupéry Airport (Satolas) was launched on 9 Aug 2010 (special fares apply!). 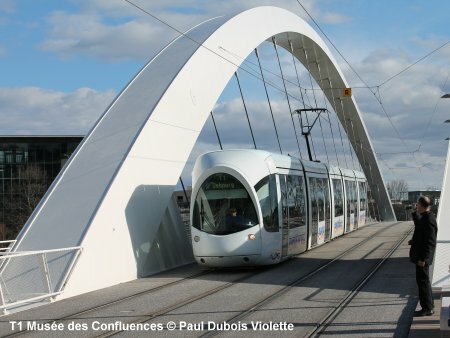 It shares tracks with tram line T3 up to Meyzieu Z.I., from where it runs at 100 km/h on a newly-built railway line (equipped with railway signalling) to the airport. 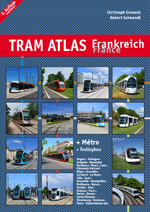 Planned as "Liaison ExpresS LYon Saint-Exupéry" (LESLYS), the Rhônexpress is operated by Veolia Transdev with six Stadler Tango trams.